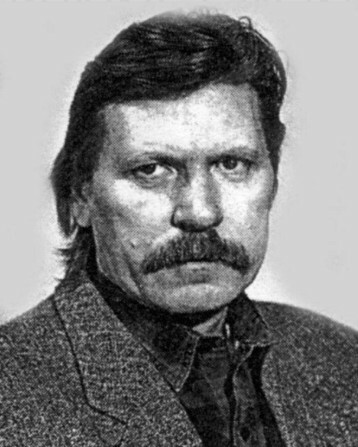 Humeniuk, Feodosii [Гуменюк, Феодосій; Humenjuk, Feodosij], b 6 September 1941 in Rybchyntsi, Khmilnyk raion, Vinnytsia oblast. Nonconformist painter and graphic artist. 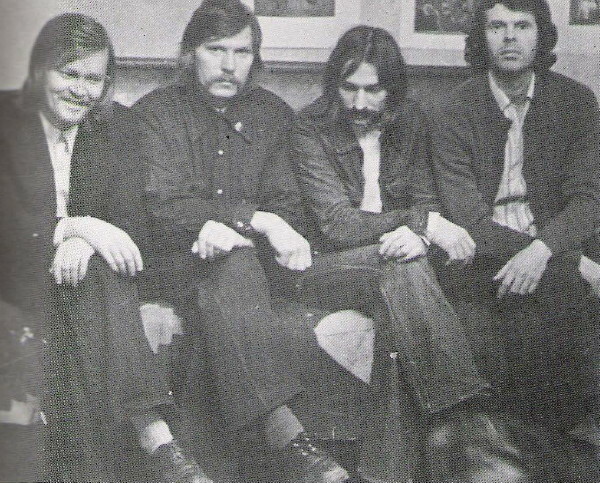 A graduate of the Dnipropetrovsk Art School and Leningrad Institute of Sculpture, Architecture, and Painting (1965), in 1974 he took part in the first unofficial art exhibition in Leningrad and in 1975 he and Volodymyr Makarenko organized the first Ukrainian nonconformist art exhibition in a private apartment in Moscow, which featured also paintings by Volodymyr Strelnikov and Vitalii Sazonov. 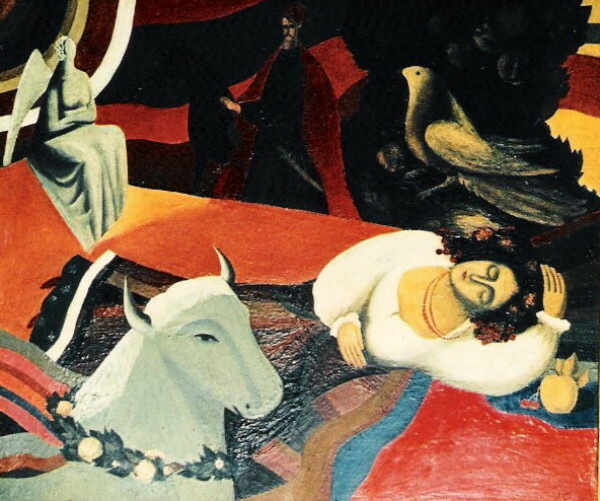 This led to Humeniuk's expulsion from the Union of Artists of the USSR and banishment to Dnipropetrovsk. 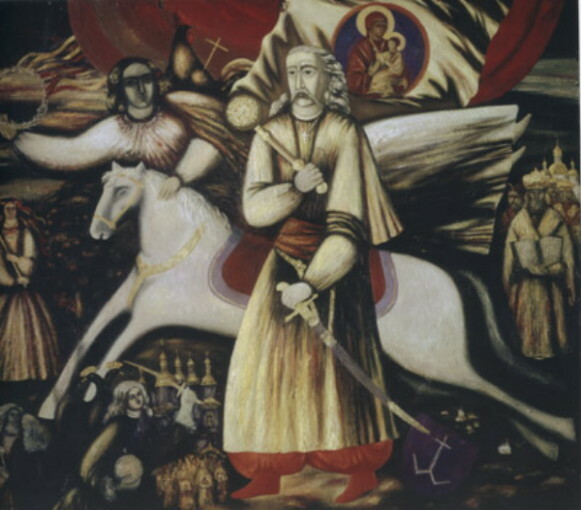 His works, which tourists had managed to bring out of the USSR, were exhibited without his permission in Toronto in 1978, 1980, and 1984. 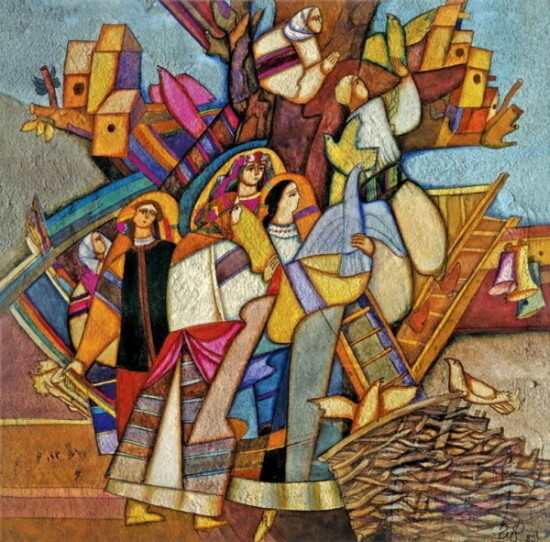 Humeniuk again settled in Leningrad in 1983 and in the late 1980s was allowed to exhibit abroad, in Toronto and Paris. 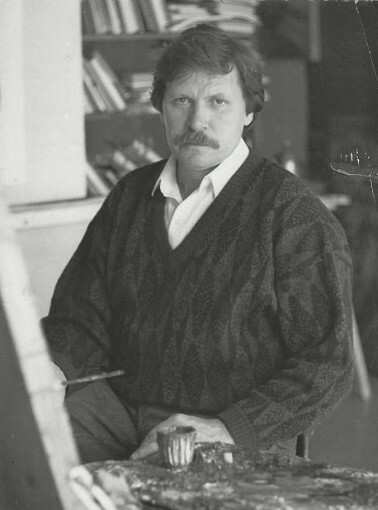 He returned to Ukraine in 1992 and was awarded the Shevchenko Prize in 1992. In 1993 he began teaching at the National Academy of Fine Arts and Architecture and in 2000 became professor of the Academy. Humeniuk deals with historical and religious themes through a rich system of symbols. 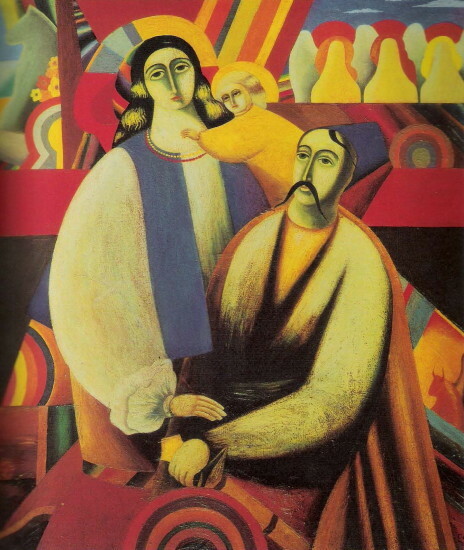 Such canvases as The Blessed Land: My Ukraine (1973), Banduryst, The Hetmans, Kozak-Mamai, Christmas Eve Supper (1977), Shevchenko, The Holy Family (1976), and My Ukraine (1979) express his deep love for Ukraine and her past. 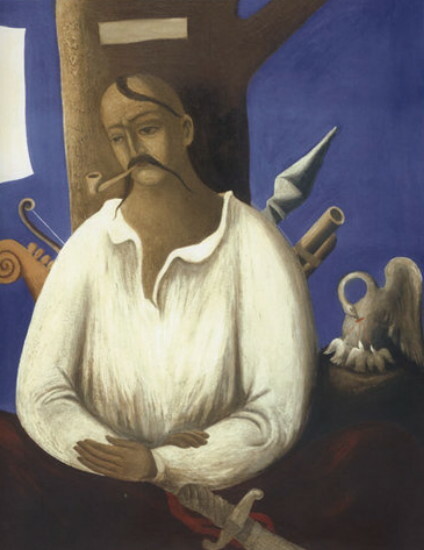 From a formal aspect, Humeniuk's work is closely related to Mykhailo Boichuk's monumentalist style, which combines the traditions of old Byzantine art with folk art and modern Western styles (see Neo-Byzantinism), and exerted a dominant influence in Ukraine's artistic processes. 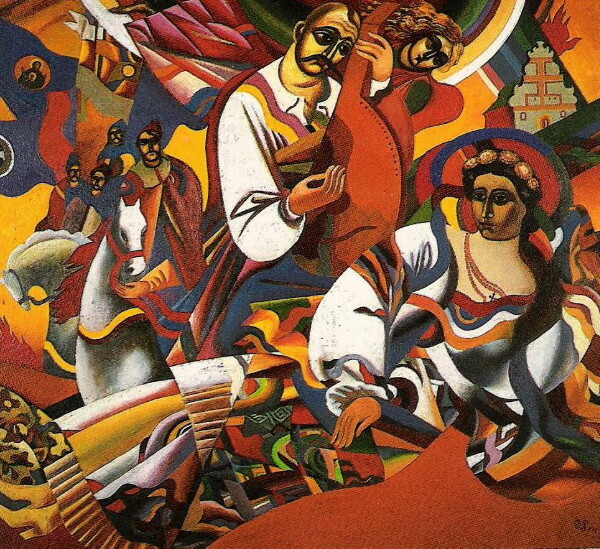 The catalogue Feodosii Humeniuk: Painting, Graphic Art was published in Kyiv in 1995.